Only refer to this dependable list of FAQs. 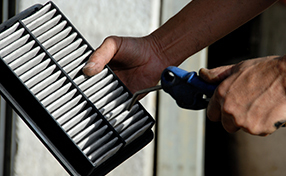 When is air filter replacement needed? Usually, the filter requires only proper cleaning. 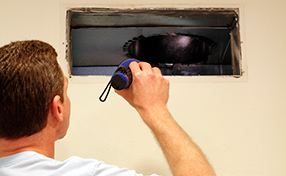 However, when there is sticky dirt accumulation or stubborn clogging which cannot be removed, the specialists of our air duct cleaning company in Temple City recommend replacement. Replacement is also required in case of damaged which cannot be repaired. How do I keep the air duct clean for longer? You can do this by keeping the filters and vents clean and in good condition. Make sure that you maintain the roof of your home in good condition to prevent moisture and mold. Vacuuming the rooms of the house regularly is also essential. What will happen if my air ducts leak? Leaky air ducts will only lead to an increase in the consumption of electricity and the heating costs can go up by 30%. Our experts at Air Duct Cleaning Temple City recommend sealing air ducts instead of investing in new HVAC components as this can help save energy bills and expensive investment.